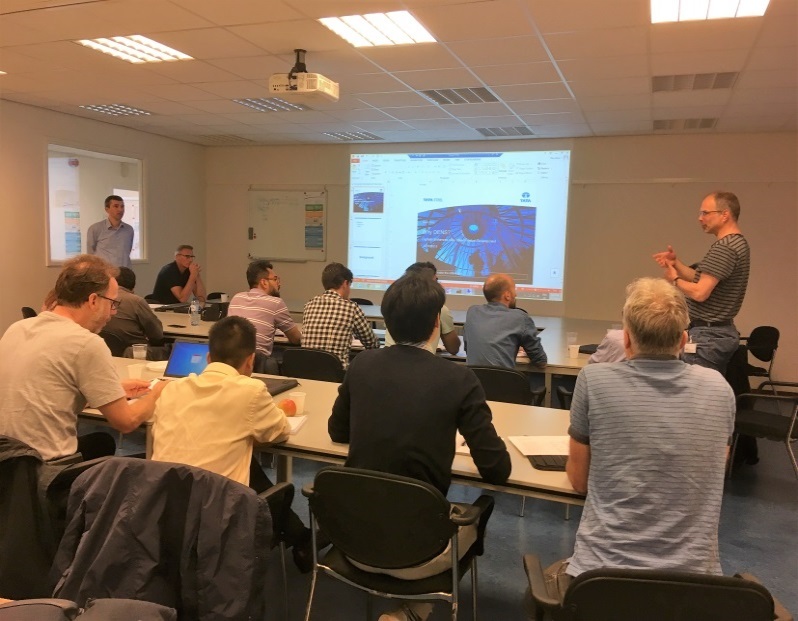 On May 23, 2018, the M2i-Tata Steel program “DENS” (Digitally Enhanced New Steel Product Development) held a kick-off meeting hosted by Tata Steel in Ijmuiden, the Netherlands. It was an inspiring and stimulating event. Wim van der Meer, Director Programmes R&D, welcomed the participants at Tata Steel premises and wished them to have a very fruitful and pleasant collaboration on the program. The program was approved last year by Top sector HTSM and will run for 5 years. The aim of this research programme is to bring through process modelling for steel new product development to a maturity level where it can dramatically shorten the time to market for new steel alloying concepts without compromising on steel production efficiency. The offline 3D microstructure evolution, the 3D RVE models and the engineering properties models will be implemented in the same software frameworks that are available at the industrial partner. This will ensure maximum compatibility between and transferability of all the different model developments. The program is supported by industrial companies Philips, Bosch, DAF, SKF, Allseas and is in collaboration with leading academic groups of TU Delft, TU/e, Twente University and Max-Plank Institute. In total, 16 PhD’s, one PD and 2 PDEng researchers will work on the DENS program. Program leader is Kees Bos from Tata Steel.